Fraser Island is found off the east coast of Australia and has a mild temperate climate that is moderated by the surrounding ocean. It maintains a comfortable temperature all year-round making it a popular tourist destination, where its visitors can see its many sights and destinations to swim, explore, relax and enjoy all it has to offer. Temperatures rarely go above 35 degrees celsius nor below 5 degrees celsius and most of the year it is sunny with moderate to high humidity. Preparing for a visit to Fraser Island will depend on which time of year you go and what kind of weather is forecast. 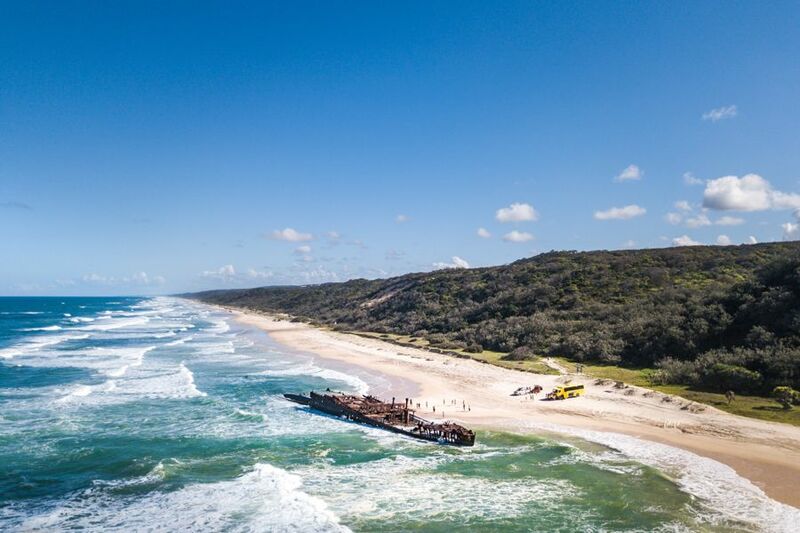 It's always a great time to visit Fraser Island, no matter the season - the key is preparing and packing appropriately to make sure you can have the best time possible! Summer is the hottest and most humid time of the year to visit Fraser Island. Luckily, there are plenty of places where you can cool down and enjoy the warm weather! Fraser Island is known for its many lakes and creeks and is the ideal place to spend a hot summer day. For this season, make sure you pack bug repellent, a rain jacket and your swimmers! Sunscreen and sun protection is a must. Autumn is a little cooler than summer with less humidity and rainfall, where evenings start to get cooler. For this time of year, pack a jumper just in case the evenings are chilly! You will still see some rainfall, so make sure you pack a rain jacket, too. And of course, warm weather clothes is a must. Winter on Fraser Island means whale season! It is also the driest part of the year with very little rainfall. Many people enjoy Fraser in the winter due to its cooler days and spectacular whale watching! For this time of year, make sure you pack a jumper as the nights get cool, but also pack your swimmers and sun protection. Whales stay off the coast of Fraser Island into the spring, meaning you can still check out these amazing animals! Temperatures will start to rise as you approach the summer months, gathering humidity and an increase in rain. Bring everything you will need to enjoy the warming weather, including swimmers, a rain jacket and a sun hat. Fraser Island is amazing any time of the year. You can always look forward to seeing its many sights, including Lake McKenzie, Lake Wabby, Eli Creek, Indian, Head, Champagne Pools and more! There is great wildlife spotting all year round and four-wheel driving is always fun on Fraser Island. No matter when you decide to visit, you are bound to enjoy your time and walk away with amazing memories of one of the most unique islands in the world. For a daily forecast of Fraser Island please click here.